Since opening its doors in 1948, Fingerhut has evolved into a giant online retailer and catalog offering over 700,000 products in a variety of departments. Fingerhut lets you buy the products you need when you need them, but unlike other online retailers, Fingerhut will let you pay off your purchases in monthly installments instead of paying for everything upfront. However, you'll need to enroll in the Fingerhut FreshStart program before making a purchase. The Fingerhut FreshStart program offers purchasing options for shoppers who want to buy now and pay later. These options include opening a Fingerhut FreshStart credit account, which is what we are going to examine here. The good news is if you pay your bill on time you will be rewarded. Fingerhut rewards accounts in good standing with more access to credit and less required up front (they will actually waive the down payment). Your Fingerhut credit card gets reported to all three credit bureaus, so no worries there. Shopping with your Fingerhut account also doesn’t come with a membership fee or other annual fee, which is exceptional. That said, not everyone will qualify. 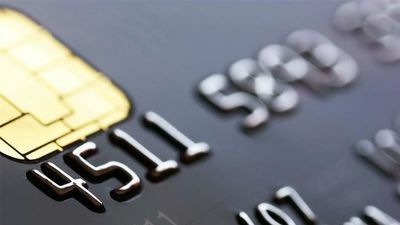 Those shoppers who don’t qualify for the credit card may be offered a secondary purchasing option, in the form of a less favorable installment loan. For those who do qualify, there are a lot of benefits to shopping at Fingerhut on your new credit account. For one, you can make purchases and pay them off over time. This is great for a large purchase, like living room furniture, or a seasonal one, like holiday gifting. Fingerhut doesn’t have a membership fee at the time of writing this, and it’s a great option for building credit too. If you’re thinking about the Fingerhut FreshStart program for your credit needs, keep in mind that you can only use this credit account on Fingerhut purchases. Considering they sell everything from blenders to baby gear, it can still get you pretty far. * Terms and restrictions apply.